Monpazier is a bastide town in the southern Dordogne in south west France. The town is perfectly quadrilateral with streets being laid out in a grid pattern. 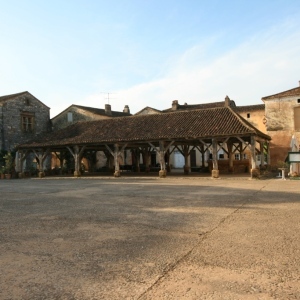 The town square sits in the middle of the bastide and is home to a beautifully restored covered market. When built the town was considered to be a perfect design and thus its design was a great influence to some of Frances greatest Architects. 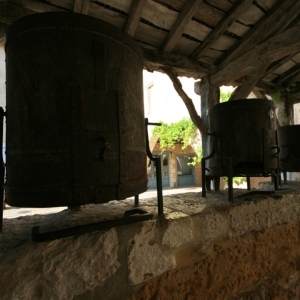 Monpazier is a Grand National Site of France and a Le Plus Beaux de Villages de France (Designated beautiful village). It has 32 buildings and sites that are protected under the Historic Monuments (19 classified and 13 registered). 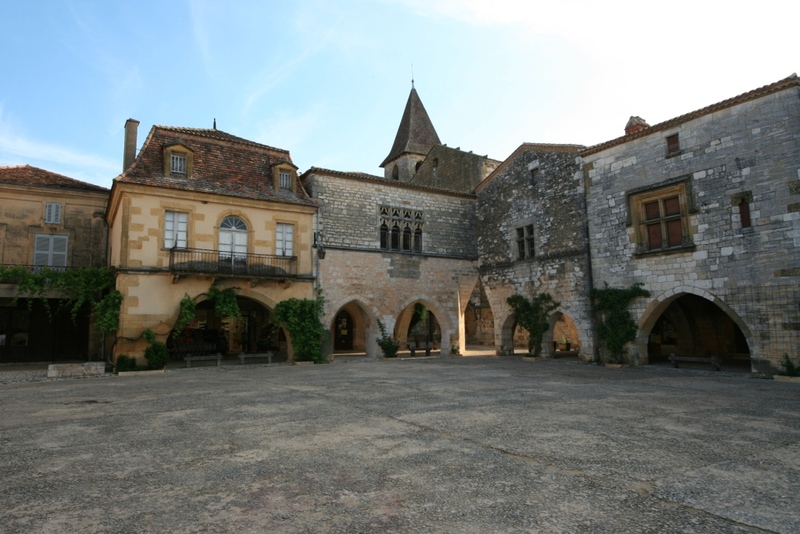 Monpazier was founded on January 7, 1284, on behalf of King Edward I of England, by his steward John Grailly. 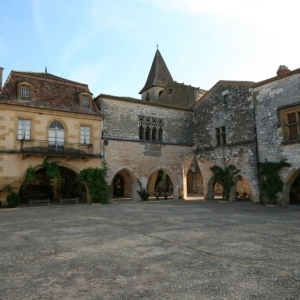 Monpazier was an important stronghold during the Hundred Years War and it was not until the reign of Charles V, King of France from 1366 to 1380, that the town came under French rule. The town was also a centre of peasant rebellion (revolution des croquants) twice in 1594 and the again 1637 provoked by the misery brought about by the War of Religions. Both uprisings were brutally suppressed: the 1637 peasants’ leader was broken on the wheel in the square. However, despite all the hard times and bitter wars the town has retained its original character and its exceptional architecture. Monpazier was a walled city enclosed by ramparts many of which can still be seen today, the ramparts and associated moats where reinforced by six towers at the main entrances to the city. This type of fortification was implemented from the beginning of the bastide. Today 2 towers remain one north and one south. The central square (Place de Cornieres) which is integral to the towns design, houses a market hall where a weekly market is held (Thursdays) along with annual fairs the most famous being the flower fair held in May. 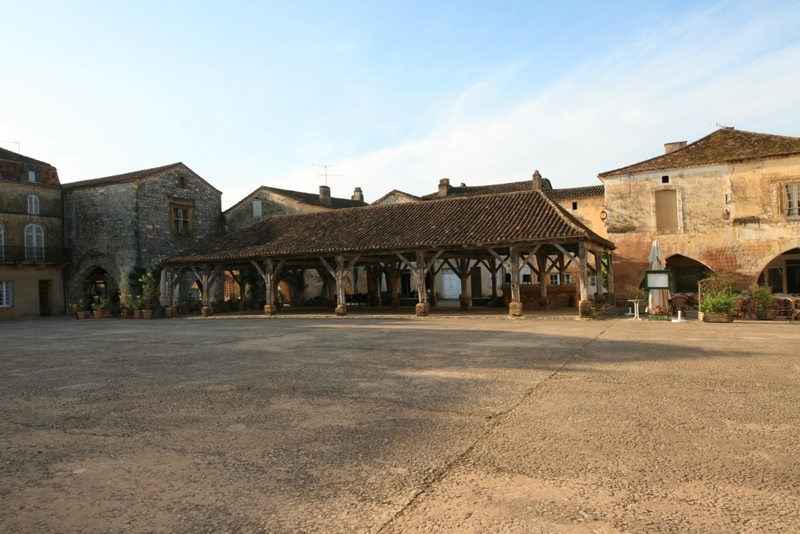 Cornières Place was the place of exchange, trade, justice. Around the square, open colonnaded 23 houses, built from the thirteenth century to the seventeenth century. The fortified church of Saint-Dominique is a simple building, as is customary in fortified churches. It was built in two stages from the foundation of the city in the fifteenth century. Place de Cornieres. The town square with beautifully intact covered market surrounded by arcades and arches. Dine at one of the restaurants that dot the square in the warm summer months. Saint-Dominique Church. A fortified church dating from the 15th century. Maison Chaitre. The finest example of a medi-eval house occupying 2 building blocks. Opposite St Dominique Church. Recollects. Convent behind the church which once cared for the poor and educated girls. Now a permanent and temporary art exhibition space. Market. Held each Thursday morning in the town square with fresh produce and gourmet delights from the region. Vide Greniers / Brocante. Held 2nd weekend of June and July and the 2nd Sunday in October. Garage Sale. Held on the 1st Sunday in July and the first Sunday in September. Medi -eval Festival. On the 1st weekend after 14th July. Maison Chapître is opposite the church of Saint-Dominique and its façade reflects the architectural style of the thirteenth century. This is one of the finest examples of medieval architecture in the town and occupys two building blocks. The house played host to the canons of the college and served as a place of storage for goods collected by the Church as tithes. De Recollects The convent is located south-east of the church Saint-Dominique. 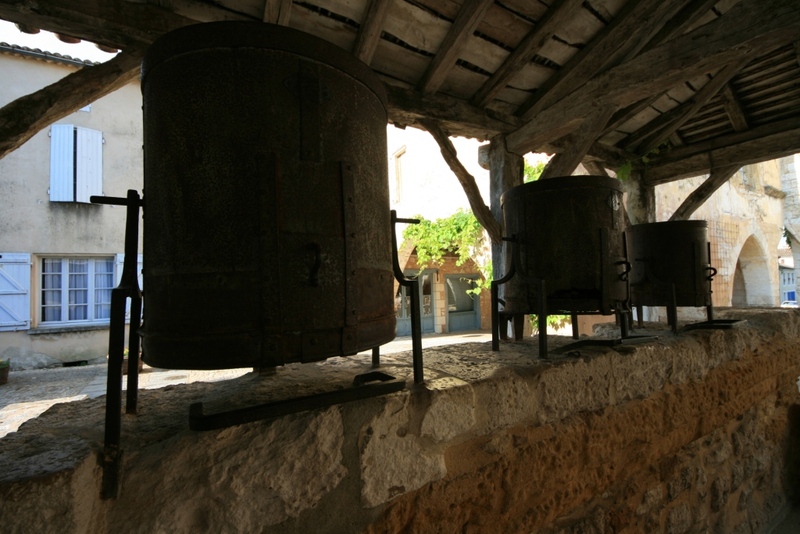 It was occupied in the eighteenth century by the congregation of St. Martha Périgueux. The sisters cared for the poor and took supplied education to girls. Today permanent and temporary exhibitions are held in this space. In the Northeast of the town you will find the washing well , the laundry is fed by spring water.